I seem to be spending a fair amount of (fictional) time in San Antonio recently—and in the sometimes great, sometimes horrifying state of Texas in general. Over the past year, I’ve read a number of Joe McKinney’s exceptional zombie novels, most of them featuring a San Antonio over-run and quarantined. 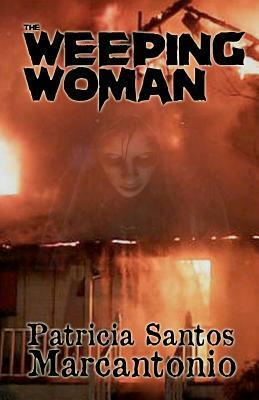 And now I’m emerging from another visit, this time focusing on a legend-come-true, Patricia Santos Marcantonio’s The Weeping Woman. I appreciate horror as a genre. I love monsters. But what makes horror such a flexible mode of storytelling is that is doesn’t actually require zombies or werewolves or vampires to be effective. Some of the most frightening monsters are…human. People turning their backs on humanity in order to pursue their own private heavens, or hells. In Marcantonio’s tale, the city of San Antonio is beset by two separate monsters. One is a pyromaniac, staining the evening skies crimson with his series of arson fires. No one has a clue as to who he is or why me sets fires, but his actions are draining the city of its life and putting a strain on the police department’s ability not only to cope with their normal problems but to control this one. This is where San Antonio detective Blue Rodriguez, and her F.B.I. partner Daniel Ryan, begin looking for more than the obvious. Rodriguez is not only a tough-as-nails cop; she is also something of a ‘monster’ herself in that she has a special talent, one that destroyed her mother and threatens to destroy her. She can see victims. If she touches a body, she sees how the person died. If she enters a room defiled by violence, she sees the victim. The one thing she cannot see—the thing that frustrates and maddens her—is the perpetrator. Temporarily transferred from Robbery to Homicide, Blue must follow the sparse clues the kidnapper has left and keep her secret from her new (and highly attractive) partner, while using all of her talents—natural and supernatural—to find the monsters before it is too late. While horror of a specific sort, The Weeping Woman is also an entirely human—and humane—novel about rescue and redemption. Nearly everyone in the story is injured in some key way, either physically or psychically. The kidnapper has been traumatized in the past, although that fact does not alleviate the horror of the kidnappings. Blue, her mother, her sister, and her aunt—all have suffered and are deeply scarred, although they deal with their problems in far different ways. Even the clean-cut, Kennedy-looking Ryan conceals a secret, one that tinges his growing relationship with Blue. But Blue is the true center of the story. While the overt narrative concentrates on her desperate attempts to balance her wounds with her need to solve the kidnappings, the underlying story—and perhaps the more important one—follows Blue’s conscious and unconscious attempts at punishing and ultimately forgiving herself for her own sins. Her path is dangerous and dark, regardless of which story we follow, but it is her only possibility of redemption.